This feature documentary explores the rarely-seen intimacies of deeply individualistic mystical experiences of reality. Neil Kramer guides us through the striking forests, coastlines, deserts, and cities of the world, inviting us to embrace the intense mystery of our own existence. Is direct personal encounter with divinity a real thing? What secrets are buried in nature’s deep places? Why has mainstream culture sought to eradicate the awakened human? Is normality really our friend? 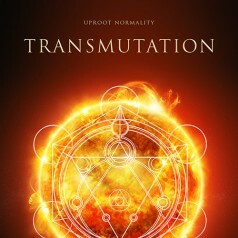 Transmutation is a bold esoteric film with multiple layers of meaning that rewards repeat viewing for lovers of real-life mysteries. Filmed over three years and five continents, Transmutation explores personal mystical revelation amid the obstacles of mainstream culture.